In a report issued on October 24, Ghansham Panjabi from Robert W. Baird reiterated a Buy rating on Graphic Packaging (NYSE: GPK), with a price target of $14. The company’s shares opened today at $10.97, close to its 52-week low of $10.04. According to TipRanks.com, Panjabi is a 4-star analyst with an average return of 10.5% and a 66.1% success rate. Panjabi covers the Consumer Goods sector, focusing on stocks such as RPM International, Silgan Holdings, and Berry Plastics. The word on The Street in general, suggests a Strong Buy analyst consensus rating for Graphic Packaging with a $16.14 average price target, a 47.1% upside from current levels. In a report issued on October 11, Citigroup also maintained a Buy rating on the stock with a $16 price target. 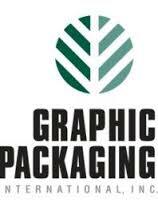 Graphic Packaging’s market cap is currently $3.4B and has a P/E ratio of 9.78. The company has a Price to Book ratio of 1.90. Graphic Packaging Holding Co. provides paper-based packaging solutions for a variety of products to food, beverage and other consumer products companies. It also produces folding cartons, kraft paperboard, coated-recycled boxboard and multi-wall bags.